Farmers Electric to Build Solar Array with Today’s Power, Inc. Farmers Electric Cooperative Corporation is collaborating with Today’s Power Inc. (TPI) to build a 1-megawatt solar facility that is designed to provide clean renewable energy and realize significant savings for its members for the next 25-35 years. This 8-10-acre project is a single-axis tracking technology of approximately 3,876 panels will be located near Newport, AR east of Highway 67, and should be sustainable for 25 to 35 years, providing a fixed price for a portion of electricity during this time span. The savings of approximately $80,000 per year from the project will be passed along to the members that own Farmers Electric. The project is scheduled to be operational by June. 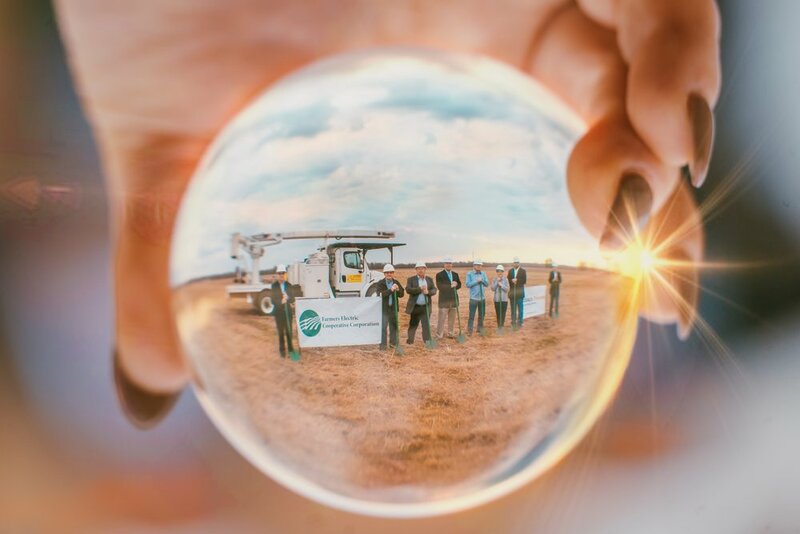 Farmers Electric Cooperative, under the leadership of its CEO, Larry Bright, and the Board of Directors worked closely with TPI in developing a partnership model that truly exemplifies the mission of Farmers Electric to provide its members with affordable and reliable energy. The plans for this project started a year ago after Bright recognized that solar prices were dropping rapidly and wanted to position Farmers members to benefit from the low-cost resource. Finding the right location was the biggest challenge. We wanted great visibility, economic development for the city and county and an area that would this investment would help grow. “collaboration with the city, county, Newport schools and the Farmers membership was vital in making this project a success” said Bright. The commitment between Farmers Electric and TPI led to a proposal by TPI that will provide Farmers significant savings. It also allows Farmers Electric to continue to secure a portion (approximately 54,989,325 kWh’s over the 25-year warranty life of the project from clean, renewable, and sustainable solar technology. “We are so proud to have been selected to partner with Farmers in developing this project. I have been impressed by Farmers Board of Directors and Management in recognizing how a project like this can serve as a stimulus for economic development for the entire area” said Michael W. Henderson, President of TPI. Based in Newport, Arkansas, Farmers Electric Cooperative was formed on June 3, 1937 by dedicated men and women that desired a better quality of life. The cooperative energized its first lines on Aug.1, 1938. The member-owned, local electric cooperative serves members in Independence, Jackson, Poinsett and Woodruff counties. Fayetteville One Step Closer to 100% Clean Energy and Breaks Ground on Solar and Storage Project with Today’s Power, Inc.